You have cafes in deli’s, cafes in cinemas, cafes in museums. Now, apparently we have cafes in recording studios. 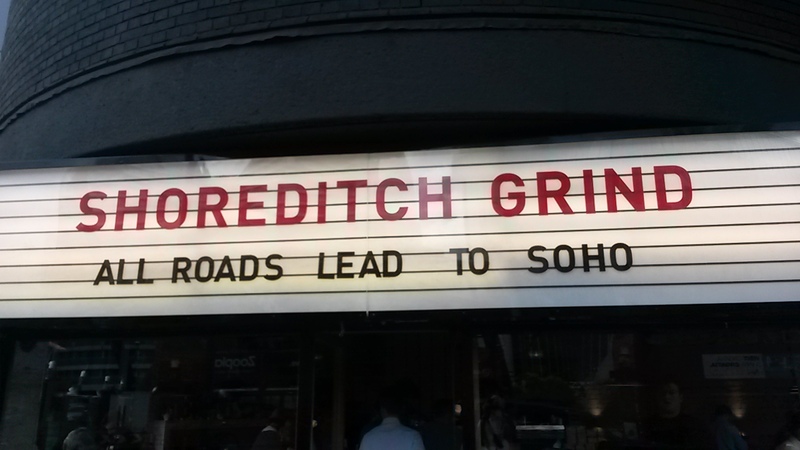 Shoreditch Grind, which is actually on Old Street roundabout, dubs itself an espresso bar, which also serves cocktails…and a recording studio. For those days when your coffee inspires you to write an awesome power ballad. I guess you need something to make you stand out from the vast array of cafes in East London. 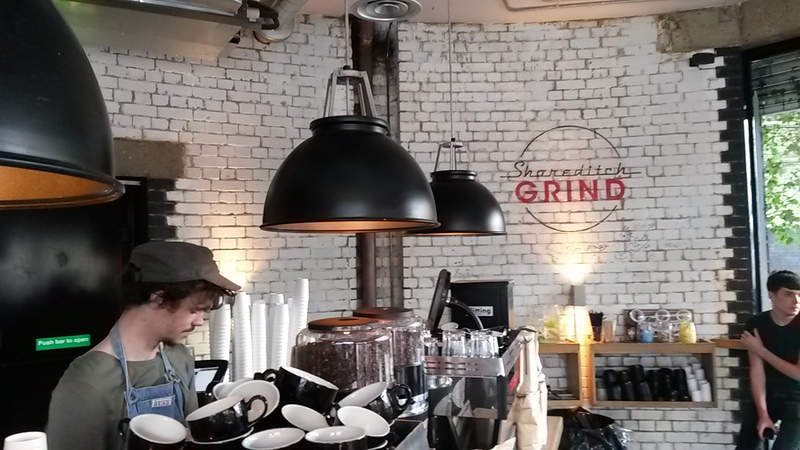 Blended and roasted exclusively for Shoreditch Grind, the coffee was perfectly brewed. The flavours were of deep, rich coffee with hints of caramel. A great cappuccino but it was a little small and was a bit of the pricey side at £2.70. For somewhere on a roundabout, it actually has a very nice atmosphere. The circular room has large windows and seating along one side and tables in the middle. There wasn’t really any suggestions that it was part of the recording studio, but was a great place to hang out and watch the hipsters come and go from Old Street underground. Situated on one of the many exits to Old Street station – but which one? While it may all be prepared in house, the menu is pretty standard. I had a good custard tart but that was mainly because there wasn’t anything in the baked goods that caught my eye. Soups and sandwiches are offer for lunch. 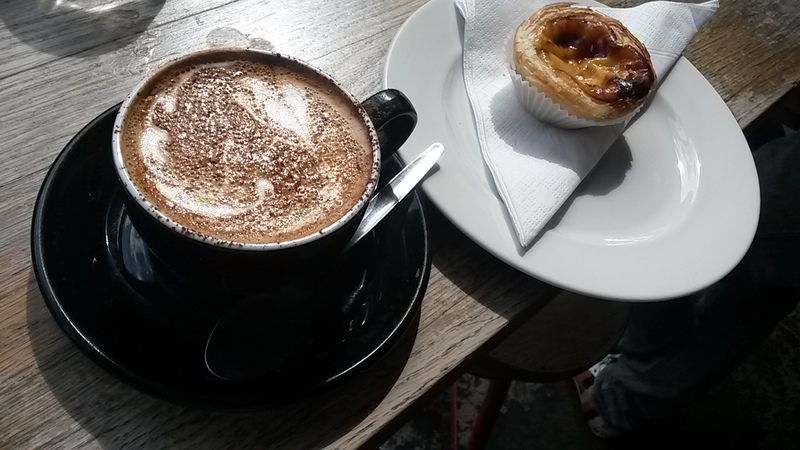 The coffees are very well made and the staff were friendly but they forgot to bring my tart. A small mistake but when it’s not busy it’s a mistake that shouldn’t really happen. On top of the recording studio, it also runs regular events, is available for private hire, is open late for cocktails, sells its coffee by the bag and has its own, rather snazzy, loyalty card. A few niggles aside, this is a great place to grab a coffee. 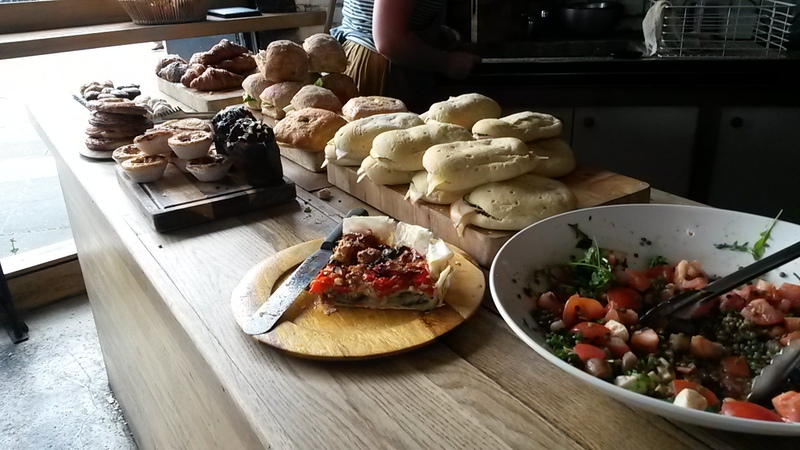 As an espresso bar it succeeds – but it could do with a bigger menu.